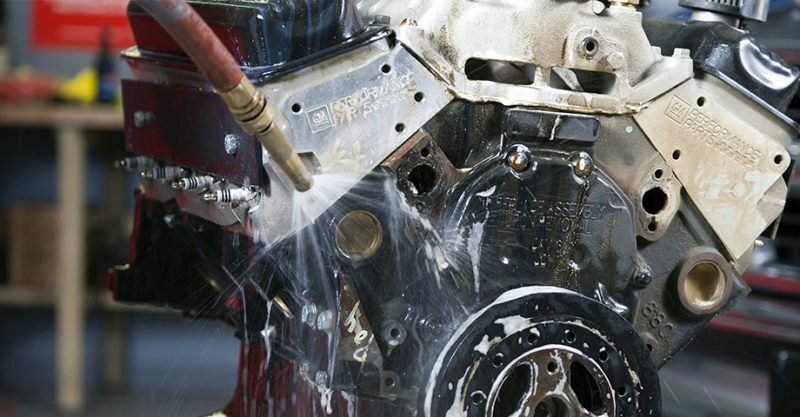 Vesco Oil Corporation began providing its customers with parts cleaning services in 1989. The core of the program incorporates a high quality mineral spirits with state of the art equipment. The program is “closed-loop”, strictly managed by Vesco personnel only. Based on our customers’ cleaning needs, we perform a comprehensive service which includes the proper packaging, labeling and transportation of the spent cleaning solution on a mutually agreed upon interval. Whether you lease the equipment from us or prefer to purchase your own, rest assured that when our trained personnel leave your facility, you are left with the peace of mind that your parts cleaning needs are met. Your peace of mind does not end at your doorway. Vesco safely reclaims the waste mineral spirits in distillation systems at our Detroit and Grand Rapids facilities. You don’t have to worry about the increased exposure to liability associated with shipping your material to another state, or into the hands of a third party. With Vesco, your spent material is reclaimed, repackaged and returned to customers like you within 24 hours without leaving the care of our specially trained people. We have developed the expertise and infrastructure to reclaim over a half million gallons of our customers’ waste mineral spirits per year, but our strict management standards continue to exemplify the care that was given to reclaiming our first gallon. Whatever your cleaning needs, Vesco can tailor a program to meet them. We offer a wide range of equipment to fit cleaning applications from heavy manufacturing to the backyard mechanic. Let our knowledgeable staff help to fit your facility with the right equipment and cleaning chemistry to maximize cleaning efficiency and minimize costs. Regardless of the cleaning application and chemistry that is right for you, rest assured that we can provide a sound management strategy for the waste being generated from it. We will not rest on the laurels of successfully meeting your needs today. Our vast industry experience ensures our customers that they can count on Vesco to meet their parts cleaning needs well into the future. Ask your sales representative about the exciting new parts cleaning technologies that will soon be available.